Top Notch Home Inspection LLC will provide a roof certification separate from home inspections. The roof certification is a written opinion that the roof will last a specific amount of years, 3-5 typically We will recommend and can perform repairs of the roof. Roofing companies say that wood shakes often require more repairs if they are older than 10 years. Tile roofs, as long as nobody has walked them — because weight can cause them to crack — can last 50 years or more. Composition shingle roofs are often warranted for 20 to 40 years, depending on the quality of the material. The steepness of a roof is known as its pitch. The higher the number, the steeper the roof. 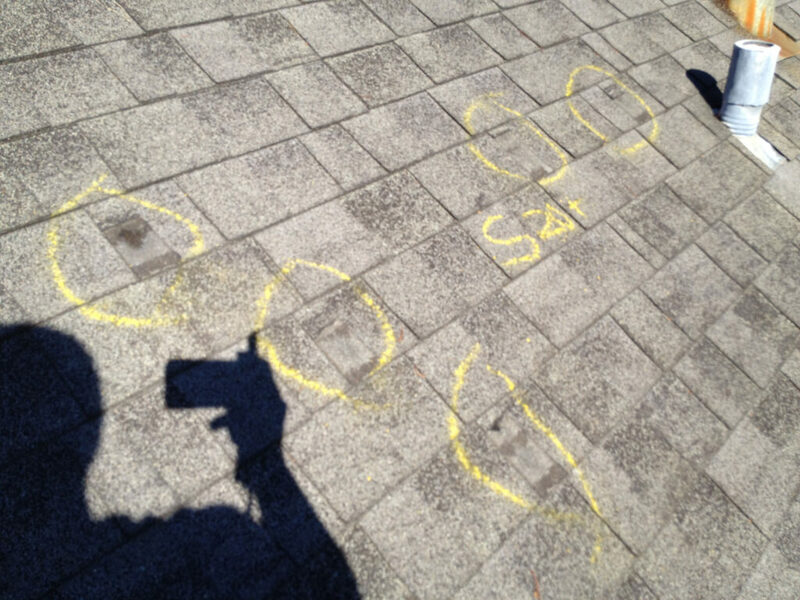 To calculate pitch, measure one horizontal foot of the roof, following a level horizontal line. Now measure how much higher the roof is at that point, known as the rise of the roof, along a vertical line. If the roof rises 4 inches per foot, the pitch is 4; if it rises 12 inches per foot — a 45 degree angle — the pitch is 12, generally the steepest you’ll find. *Note that many roofing contractors will charge extra to work on a roof with an extreme pitch. Some cities have enacted ordinances regarding the number of layers that are allowed on a roof before a complete tear-off will be necessary. In California, it’s common to see composition shingles placed directly over wood shake. Although not all states require seller disclosures, if a seller does not disclose previous roof repairs, many roofing companies will refuse to honor the roof certification. Roof inspectors will want to examine a previous repair to make sure it was done correctly and won’t cause future problems. Most roofing companies will not honor claims due to natural disasters or severe weather — and these conditions include high winds — in addition to damage caused by foot traffic or improperly installed skylights or solar panels. Natural disasters, however, are generally covered by either a homeowner’s insurance policy or a flood insurance policy. In closing, some controversy exists over whether a roofing inspector should also be allowed to perform roofing repairs because of possible conflicts of interest. If a seller is unhappy with the recommendations made by a roofing contractor, I would advise the seller to obtain a second inspection and submit both inspections to the buyer. A roof certification is a statement of opinion by a licensed roofer who deems the roof has a life expectancy of up to 3 years and should be FHA compliant. First, a thorough roof inspection is carried out to assess the rooftop’s current condition and uncover any deficiencies. Typically an inspection starts with an interior inspection and then moves to the outside. Pictures are taken from several angles and vantage points. In the event that any roof repairs are needed, they must be satisfied before a certification can be issued. Depending on the items in need of repair they can take anywhere from 1 to 3 hours on average or longer. The property owner should look for a roofing company that offers a workmanship warranty. If no repairs are needed, a roof certification can usually be provided the next day or sooner. If the appraiser walks up to the house and it is visually obvious from the ground that the home needs a new roof, your appraisal is going to be issued “contingent on roof replacement or satisfactory roof certification” Said another way, the lender will not make the loan until it is replaced or certified to last for a certain number of years, typically 3 years or so. 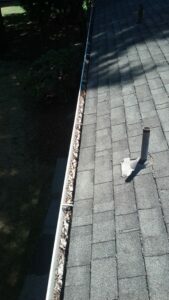 The same thing can happen during your inspection negotiations if the lender is made aware of a faulty, worn-out roof. This situation leaves the buyer and seller with only two options to get the loan closed. Either the roof gets replaced or the roof gets certified. A roof certification is essentially a form of opinion issued by a roofing contractor. It states that they have inspected (and possibly repaired) the roof, and they certify that it will last another 3 years given its current condition. In reality, it is less of a warranty and more of a maintenance plan for the roof. A roof certification can be a useful tool that a seller and buyer use to get a home through closing, but the “warranty” that they provide is pretty much a bunch of hooey. Buyers need to recognize that it doesn’t change the fact that the roof is worn and in need of replacement. Sellers also need to recognize that it doesn’t improve the product that they are selling, and they still need to price the home accordingly, given the condition of the roof. Roof replacement is always a better option than roof certification, provided you can make the economics work. Call Top Notch Home Inspection LLC Today! !